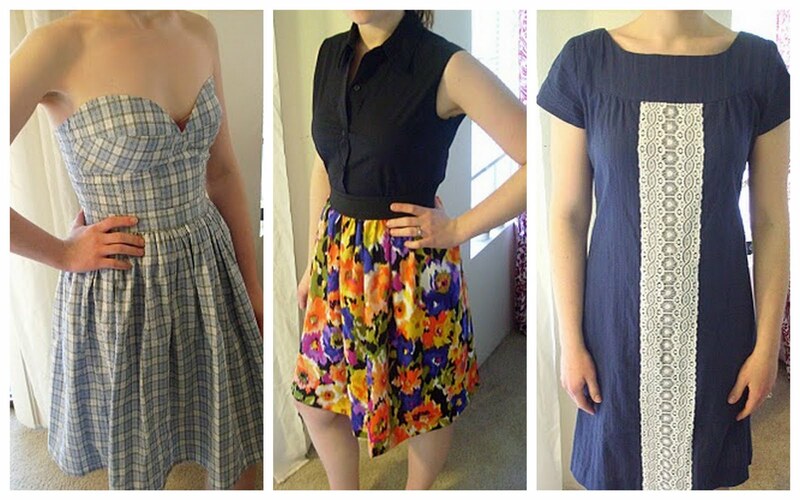 Please welcome one of my favorite sewing bloggers, Suzannah from Adventures in Dressmaking! I've been following Adventures in Dressmaking so long I can't remember exactly when or how I stumbled across her blog. 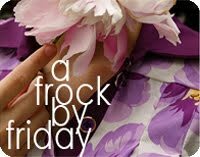 But what I do remember is that I was instantly caught by her cute Anthropologie replicated designs. 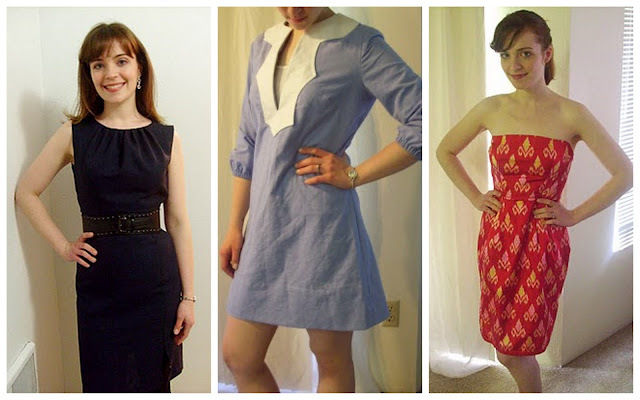 The nice part about Suzannah's blog is that she shows you exactly what patterns she used to make the dress and other examples of similar dresses that inspired it so that you can create the exact same look! 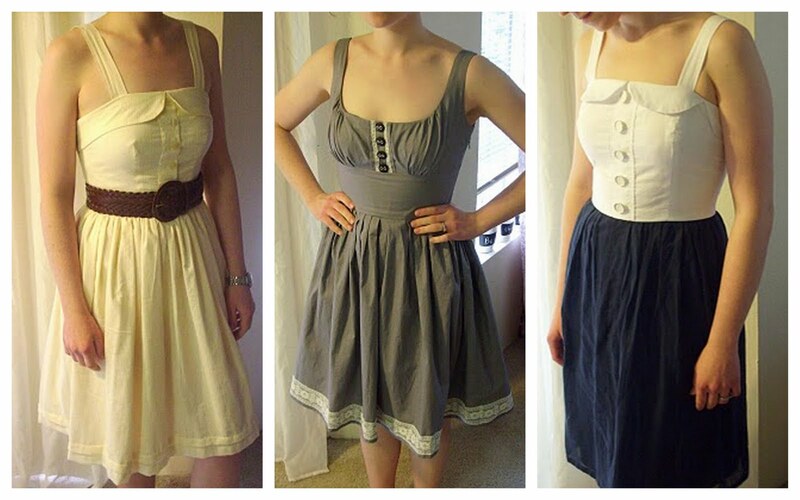 Suzannah also posts her own tutorials for clothing that she has designed herself. Like the one we're seeing today! It's no wonder that Suzannah became such a fabulous sewing blogger. 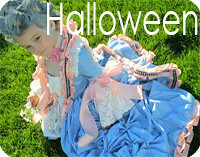 Her mother is in the business of making historic clothing for historic sites, museums, and reenactors. See some of the truly amazing recreations here. Sometimes I wish I had more people in my life who liked to dress up and hold events like this! For a while now she's been planning her wedding, INCLUDING sewing her own wedding dress. Bravo! See all her wedding posts here! So now that you know a little bit about Adventures in Dressmaking and the amazing chica behind the blog, let me allow Suzannah to show you her super adorable Paper Bag Skirt Pattern! 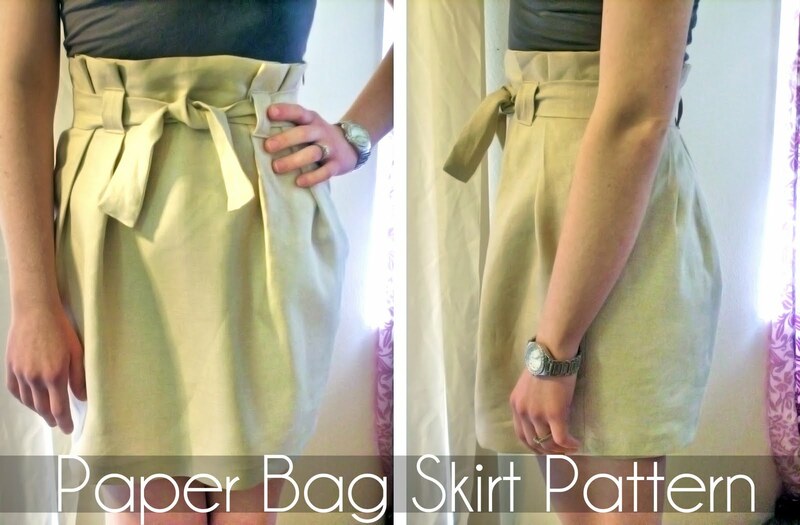 I mentioned once that I might post instructions on how to make a paper bag waist skirt. There are some others out there, but many of you requested that I do another one--so here goes! 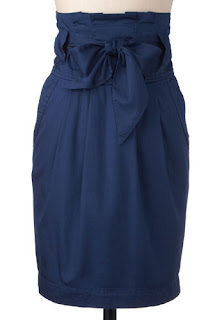 Today, let's look at some of what I'm going for with this paper bag skirt: a slightly more formal look than a basic gathered or elastic waist, usually involving pleats, also including a belt and belt loops. Slightly tapered in at the thighs, usually a fairly short length (although you can make it whatever length you want). And there are tons of others out there, too. They seem to usually be in neutrals, black, grey, tan, etc. and should be made of a fairly sturdy fabric. I recommend cotton twill, although you could use a lightweight wool suiting if you want to, and I'm using a sturdy linen (which, I know, will wrinkle like crazy, I expect). So again, here's the tutorial, Part 1: The Classic Paper Bag Waist Skirt! 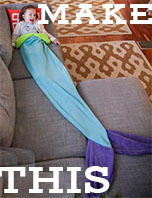 You'll need, depending on your size and the length you want, 1-2 yards of fabric. No lining needed (please don't make this of a super thin or lightweight fabric ;) ), but you do need a skirt zipper. I'm using one I took off of something else, I think a skirt that I turned into a pillow or something. I also recommend a fabric marker, but you can use a pencil instead. 1. Divide your waist measurement by two. For example, if your waist is 26", your pieces will be 13" wide from the center fold or center back seam at the waist and hip. 2. 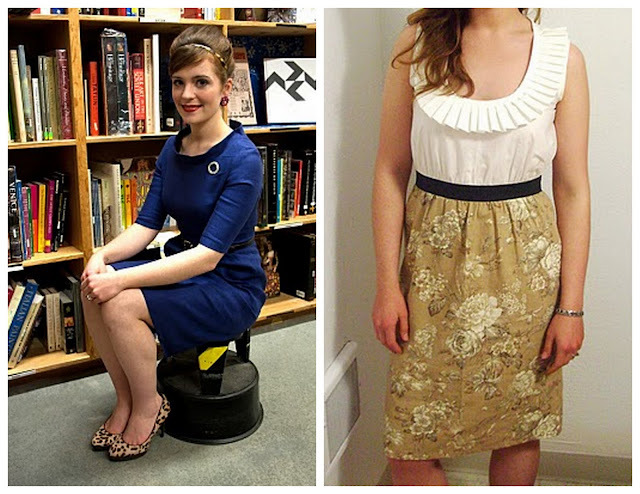 For a modest mini-skirt length, I recommend making your skirt pieces about 23" long, but feel free to do longer. The fold line for the top edge is 3" down from the top of the pieces, and the waist is another 2.5" below that. 3. You'll taper the piece down to 3" smaller at the hem than at the waist. Do this gradually and with a curve rather than a straight line, starting a couple inches below the waist. 4. You'll also need to cut a belt piece (I'm using the width of the fabric, but make sure it's close to twice your waist measurement at the very least) and a piece that will become your belt loops. If you want the belt 2" wide, cut the fabric piece 5"--you'll fold it twice and sew with a 1/2" seam. If your belt is 2" wide, you'll want your belt loops to be a little taller than that, and they'll be turned under 1/2" at top and bottom, so each belt loop should be just under 3.5" long. I recommend at least three belt loops, two in front and one in back, but you could also do four. For three belt loops, cut the piece 3" wide by 10.5" long. 5. Assemble the back (if you cut it on the selvage rather than fold), and sew the right side seam. 6. Put in the zipper. 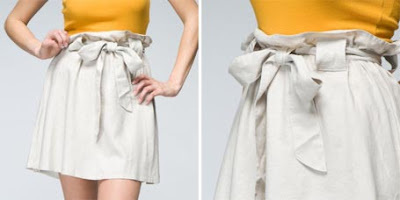 Make sure to start it at the fold of the skirt, rather than at the top. Sew the left side seam. Press flat, and press under 1/2" at the top few inches above the zipper. 7. Turn under your hem. Depending how long you want the skirt, give it a small or a large hem by pressing under 1/4-1/2" and then pressing under again, 1/2"-2". 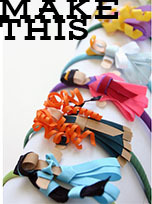 Sew with a straight stitch or with a hem stitch. Note: Because the skirt is tapered, your hem will not lay flat all the way around. At the side seams, you may have to snip some stitches to make it align. (In a professional pattern, the skirt would be cut with a flip-out at the end to compensate for this, but my way works too). Now, sew your hem down all the way around, with either a straight stitch or a blind hem stitch. 8. Press the top of the skirt down, first 1/2" under then an even 2.5" all the way around. Pin in place or baste (your row of stitches will be covered by the belt). 9. Fold your pleats in--there can be a science to this, but I just experiment until I get the right size. Again, if your waist is 26", you'll want to front piece to be 13", so each half to be 6.5". It's okay if it's a little big, since your belt will cinch it and you want some wearing ease. Pin the pleats in place, making sure they stay parallel all the way down. 10. Sew pleats in place and sew all around skirt, securing 2.5" fold-down (top "hem"). 11. Finish belt loop piece and cut into evenly sized (3.5" if you followed my example in step 4) pieces. I did mine by turning under 1/2", then again 1/2", and meeting the edges in the center. Then I top-stitched (I did two rows, to make it look more like jeans belt loops!). 12. Press belt loops under 1/2" at top and bottom and pin in place. Top-stitch down. 13. Sew long seam of belt and finish ends however you choose (I made a long tube, then tucked both ends under and top-stitched). Be sure to press well. Just put your belt through the loops, and you're done! It's a pretty simple skirt really, but like I said, I think of this as the classic paper bag waist skirt. So cute and fun to wear. Hope you like it!! 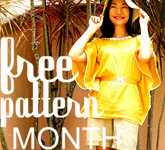 Thank you Suzannah for being a part of Free Pattern Month! I couldn't imagine having it without you! Stay tuned for Monday with Casey from Casey's Elegant Musings! I'm not sure I understand the measurements. If the waist is 26" and each piece is 13", how do you have enough fabric to make the pleads? Or should I make the pieces half of my hip measurements? I would really like to try this, looks amazing! Great pattern! 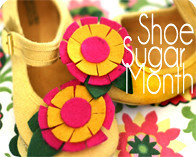 I love Suzannah's blog! @Sabrina KrighaarI'll ask Suzannah to clarify. I looked over the post and the photographs and what she means from Step 1: is that it will be a 13" wide from the center fold. When you cut the 13" piece cut it "on the fold". So when you open it out the front skirt piece will be 26" and the back skirt piece will be 26". Thanks you guys :) Makes a lot more sense - now I've just got to find some fabric. Thank you for this awesome tutorial!!! Thanks for clarifying about the pleats vs. the waist measurement, I had the same question. :) This is great, I can't wait to try this! Thank for you introducing us to so many excellent bloggers. I'm new to all this, and your site is proving ever so helpful in finding like-minded sewers. This is great! 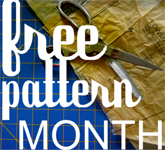 I love your pattern project, it's such a great idea. I was looking for this kind of skirt, thanks for the pattern! @Kathleen, thanks for clarifying... guess I should explain that better! I just made this skirt!!! 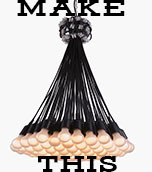 I've never made anything that doesn't have a draw string... and i've never put a zipper in. but i did it and it looks amazing!! thanks for the step by step. I LOVE IT!!! 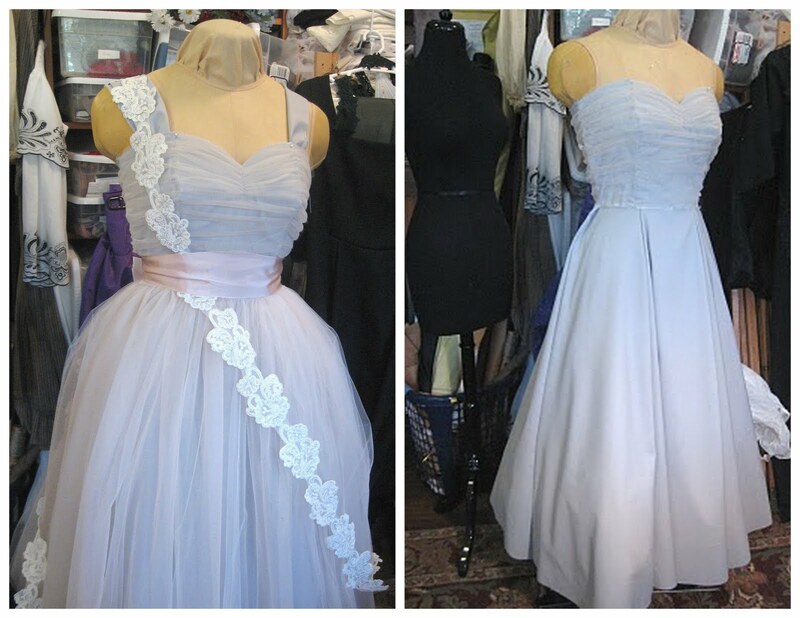 How much width did you add to the waist band to allow for the pleats? I understand the 26" waist divided by 2 to make the pattern but what about the pleat allowance. From the picture it looks like 3" but it does not clarify. 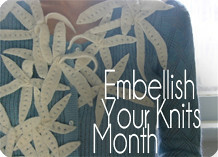 Love this pattern and I would love to give it a try. Love the look of this... my sewing machine has been sitting in my cupboard for quite a while feeling a little unloved. Time to get it out! I just tried this out and it looks absolutely perfect! I did it with yellow linen fabric. The fabric was a little expensive but the result is totally worth it. The instructions confused me a little but i figured it out anyways. OK, I have some fabric that is just begging to be sewed and I think I need to make this one! p.s. please become a follower, i always follow my readers blogs in return. Do you think it'd be feasible to turn this into a paper-bag waisted pair of shorts? I have some fabric that would look adorable like that! So pretty. I made one myself by trial and error using some old dressmaking fabric here at home. Great tutorial and instructions, so thank you for being so thorough.